After smartphones arrived, the overall percentage of people using a webcam reduced by 20%. Well, it’s just in theory (considering some information databases) but in reality, things would be a bit different. We do know that there are a lot of Windows users across the world compared to the number of Mac and Linux users (for personal use). So, we’ll take a look at the best webcam software for Windows. Do you think that webcam recording isn’t required nowadays? Just record it and save it in order to show the video to your next generation? Well, No! With the help of these best webcam software, you would be able to achieve a lot more things than you could ever imagine! It is one of the most popular webcam software which you can use both for the educational and commercial purpose. Not much of features offered here, but it lets you record videos from just about any webcam or digital video cameras. You can save the video as AVI, MP4, and WMV file format according to what you require. You can record the audio directly from a microphone, line-in, or speakers. In order to make things convenient, you can utilize the ability to create custom keyboard shortcuts. The keyboard shortcuts would let you record, take a snapshot, pause or stop the recording while saving time from moving the cursor and clicking on an option (which normally people do!). As I mentioned just now, Free2X provides the feature to take a screenshot and save it as a JPEG/BMP image file. Multiple File formats such as MP4, AVI & WMV. SplitCam offers quite a few good webcam effects to make your conversation fruitful or interesting. It supports HD video broadcasting. Did you think that you could use your webcam for just one single session? However, with this software, you can use multiple connections for the same webcam at the same time. You can split the video even while talking to friends on Skype, Yahoo, and MSN (all at the same time). We’re not sure that if it would work for all of the available video chat clients but you can give it a try. Won’t you like a free webcam recording software with additional functions? Well, here’s what you’ve been waiting for – SplitCam recorder allows live video streaming to Livestream, Ustream, Justin.tv, TinyChat and other services as well. Well, it might not appeal to you if you are not using one of the supported streaming services, but I bet if a popular stream service works for you, this software is going to be your best friend. In addition, you can also connect to any camera using an IP address and use it as the video source for streaming something live. It might come in handy depending on the situation you’re in. Video splitting to several programs. 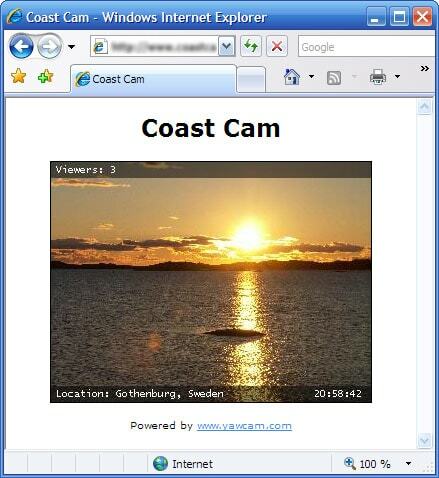 It is yet another best virtual webcam software for Windows that is free. However, it isn’t quite popular, but it does work well. It tries to go one step ahead of SplitCam by mimicking the feature to use the same webcam across multiple applications that would let you stream the same video source on multiple platforms. However, there’s a catch, it lets you “switch” the video source. So, it does not let that happen simultaneously but provides an option to switch the video source like a pro. 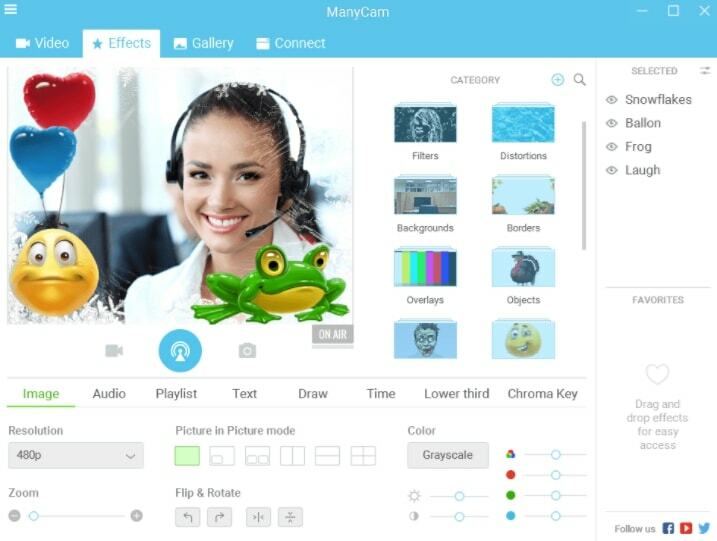 You’ll be excited to know that ManyCam supports dynamic backgrounds i.e you can record the videos utilizing the Chroma Key tech. Although that’s a bit inappropriate technically, it does nearly the same thing which could help you appear from anywhere. For instance, if you are in the UK and want to appear as if you’re sitting somewhere else, this could help. 3D Face masks, filters, and effects. A basic webcam recording solution one can have for Windows. My best guess would be its aim for simplicity. The developer definitely wants to keep things simple and offer only what is required for common users. Although, it neither supports simultaneous streaming at multiple platforms nor gives you the ability to utilize a dynamic background. Normally, a user forgets about the resources when downloading a software. So, if you have a system running on Windows which is slow and often encounters lag then you should prefer Yawcam. It does support all of the basic features required such as video streaming and taking a snapshot. In addition, it also supports FTP uploads, time-lapse movies, and also gives you the privilege to protect the content with a password. 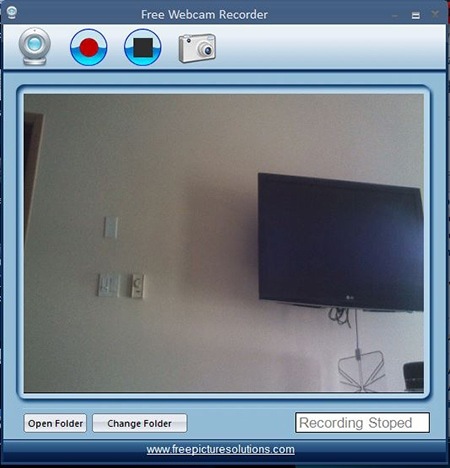 The user interface offered by Free Webcam Recorder is quite simple but responsive. It claims to support recording with almost all of the applications that you might be using. Well, do note that this software does not provide any additional features. It’s simply focused at recording. And, the company explains that in order to focus on the recording quality, they have not added fancy features that are normally present on other software products. However, it would depend on what you like and what you don’t. If your sole purpose is just to record, you should give this a try. Apowersoft Screen Recorder is one of the most straightforward webcam recording software available for free. The free edition does come with certain limitations but also offers licensing options if you want premium functionalities. With the free version, you get to record videos that are no longer than 3 minutes. Also, you will find a watermark overlay on the video you recorded through your webcam. The webcam recorder also lets you create recording tasks as per your schedule to automate things. If you need to remove the watermark, you will be requiring a VIP account subscription for it. Multiple Recording Modes (Full screen, custom area, screen, web camera). Several output formats supported (WMV, AVI, MP4, MOV, MKV, FLV, MPEG, VOB, WEBM). Helps automate things by creating scheduled tasks. 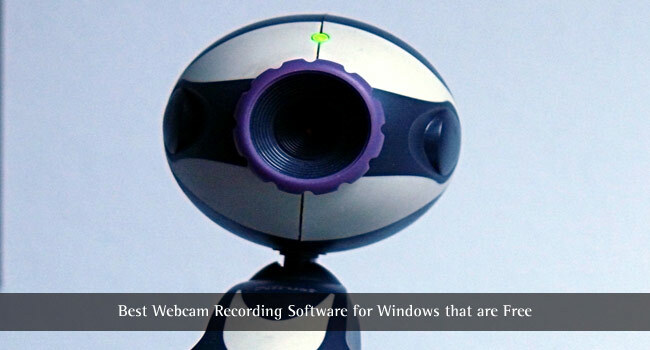 Yet another multi-purpose webcam recording software that does an excellent job for free. Of course, just like some other webcam recording utilities, it includes watermarks in the video you record through it. You need to purchase a license to get rid of the watermark. 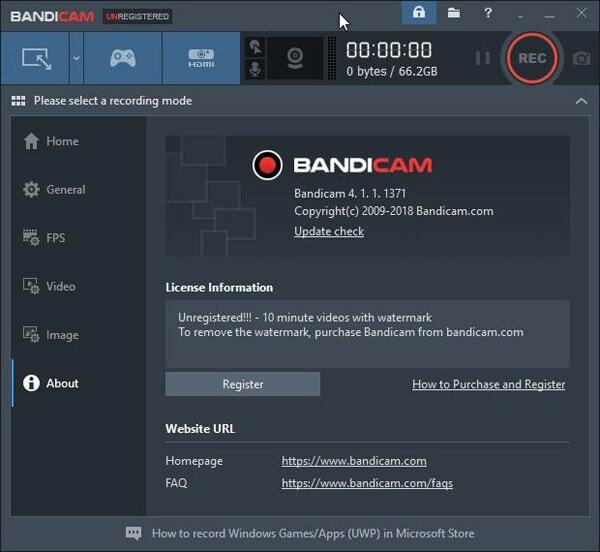 But, if you are okay with the 10-minute video recording restriction and the watermark, Bandicam should be best for your usage. It also gives you the ability to record gameplay videos, and you can also capture your screen with it. ByteScout’s screen capturing tool is a freeware program which primarily lets you record your desktop screen with external audio as AVI file. The user interface might be old school, but it does offer a recording mode via the webcam. However, it only exports the recorded videos in AVI format. So, if you need the videos converted to a different format, you will have to utilize a video converter separately. It may not be the best webcam software but if you were on the lookout for a very compact software utility to let you record videos through your webcam, this might be the solution for you. Record videos through your webcam. If you want something more than just the ability to record videos via your webcam, this should be the answer to it. And, guess what? No watermarks in the recorded videos. It offers a lot more tools like an inbuilt video editor, ability to add custom text caption and more such features. With debut video capture, you can even add a custom watermark image to your videos without taking the hassle of editing your video later. Multiple recording modes (Screen and Webcam). Custom watermark and text captions. Numerous video formats supported (mp4, avi, dv, mkv, flv, mpg, webm, wmv, and others). Ability to change video recording resolution. 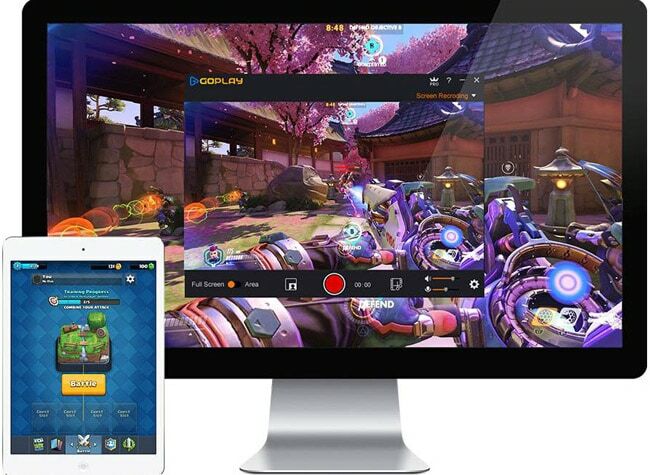 GoPlay Editor is an exciting solution for webcam recordings. 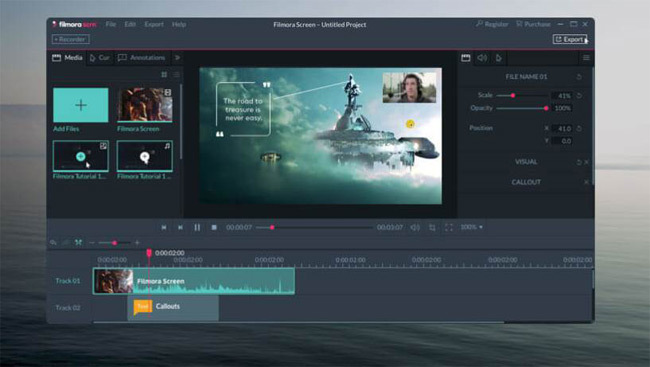 It is primarily a video editor but also offers the ability to record your screen. You will be able to adjust the video resolution for the recordings. The free edition restricts video recording to be no longer than 10 minutes. Being a very extensive recorder and editor, it offers a pro version to it as well. If you want to get rid of the watermark, you should consider upgrading. Game recording supported (4K @60FPS). Filmora Scrn is a webcam recording software which also includes the ability to record your screen (and the gameplay). The user interface is impressive and supports GPU acceleration to increase the performance of the application. Filmora Scrn also lets you tweak the encoder. It comes with a 10-minute video recording restriction and also includes a watermark on the recorded videos. For most of the personal users, this shouldn’t be an issue, but if you want to utilize for your business, you should consider upgrading. It indeed is one of the best webcam software utilities available even with the restrictions. Multiple modes of recording (Screen and Webcam). 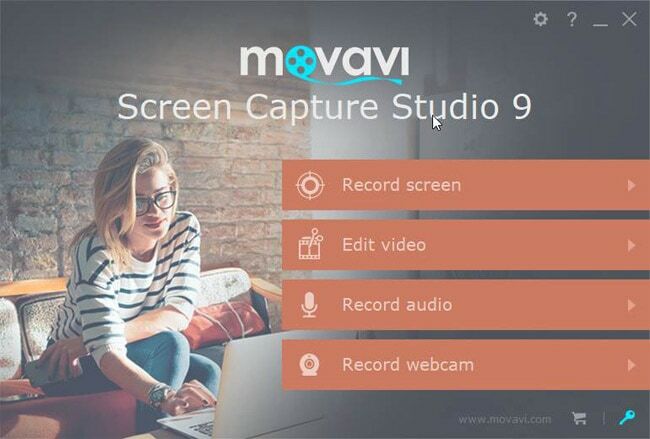 If you need to record something in a jiffy, you can download Movavi Screen Capture Studio 9 for free with the trial period of 7 days. Similar to Wondershare’s Filmora, it also supports GPU acceleration. However, it does not let you tweak the encoder. While it cannot change the encoder, Movavi’s Video Editor is a bonus if you get it installed just to edit your videos because it is an impressive video editor indeed. Moreover, you can utilize Movavi Video Converter to convert your recordings easily. Screen recording and webcam recording. At the end of the day, you’ll have to choose the best for you. No matter what’s best, but if a software does the job you require, it is what you should consider choosing. Well, all of the software products mentioned here are free and best webcam app. So, you should try them all in order to decide the best for your use. 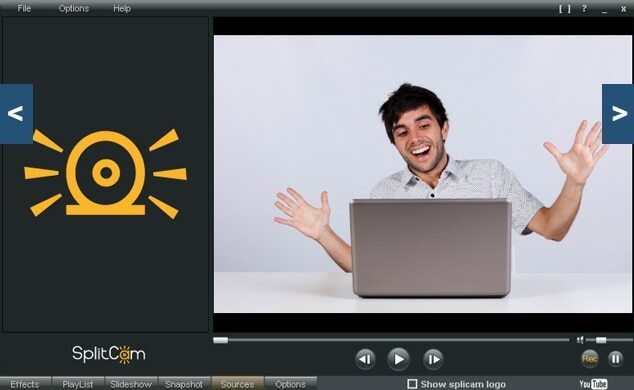 Do you happen to know a popular, free yet best webcam recording software that we missed? Do you think that your favorite webcam recording software deserves to be listed here? Let us know your thoughts in the comments section below. Nice share, really helpful list of software you provided as I am doing the recording for my tutorials. Thanks a lot. Hi Ankush Das, thanks for sharing the Webcam recording apps. I have been using the default app for quite some time and I have been thinking about upgrading to another app. The new webcam softwares are surely rich in features. Good and Helpful post. Thanks for sharing. The article you shared is just awesome. I have found it quite interesting. For webcam recording I have been using drfault app. But your article gives me a new idea about some awesome webcam recording apps.I will obviously check them. I have to say I found many web cams to be the best software in this list. Thanks for mentioning the Free Webcam Recording software. Hope this will help me to get start with my youtube channel. Some of the mentions are awesome but needs some more information for a newbie like me. Possible try to mention some more details to the post will also help me and you to increase your visibility. Anyways, thanks for the good post mate. Nice article. You can make high quality videos using great features of these software.